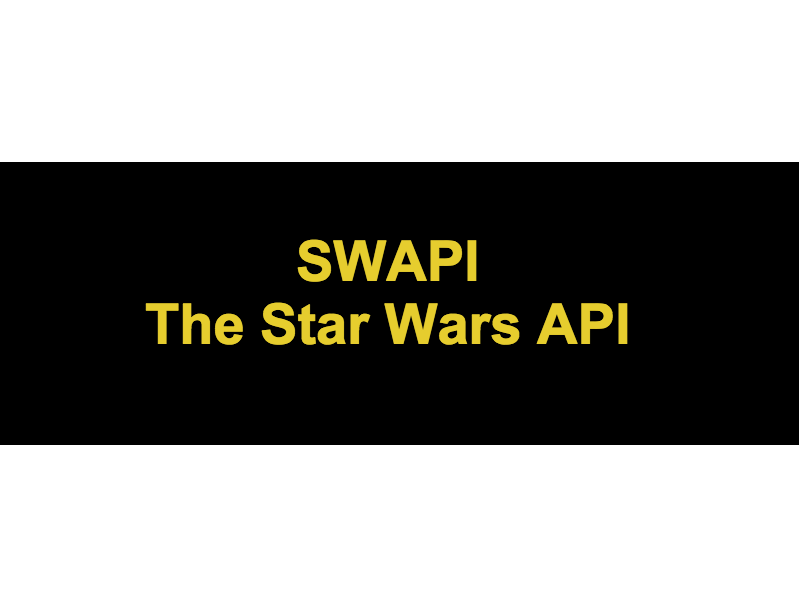 After hours of tedious film watching and crawling the internet for any information I could find on the most insignificant of vehicles or planets, I’ve finally launched the first version of The Star Wars API. With the beta out in the wild I expect to spend the next few weeks fixing small data inconsistencies, deciding what data to add next, and battling all manner of bugs that I am no doubt going to have to deal with. But in the mean time, let’s talk about the cool stuff. What can I do with this data now? Well, you can find out all sorts of crazy stuff now that the data is quanitifed. You could use standard HTTP requests, but with the python helper library you can get started doing actual data comparison. If you’re really itching to do something useful or cool why not build a helper library in your favourite language? Let me know when you finish it and I’ll add it to the list of helper libraries on the documentation page. Help me Star Wars community, you’re my only hope! I know that the data is likely to upset or disagree with a few devout fans. I’m pretty serious about my Star Wars lore, so I know how you feel. If you believe I’ve made a mistake or I’m missing a data point that just absolutely must be on swapi, then tweet me or email me and I’ll get around to adding it or fixing it. I had to make a few tough decisions when adding in the data for the beta but I am adding more so relax, your favourite EU characters will be in their eventually.